On Wednesday, June 25th, the Open Innovation Club (OIC) organized a workshop on Financing Innovation. 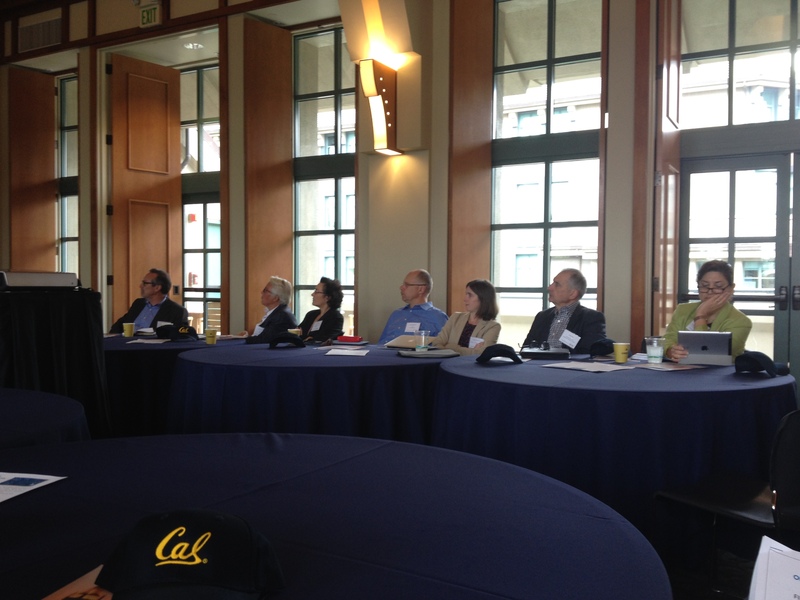 OIC members and guests were welcome at UC Berkeley Haas Business School by Julie Shapiro. (The full list of participants is available here) Julie Shapiro is in charge of promoting the custom executive education programs at UC Berkeley Haas Business School. Each year, the school welcomes individuals, public sector organizations and corporations eager to learn new approached on how to solve the business & management issues they face in their environment. UC Berkeley develops and tailors specific programs answering this demand in the spirit of UC Berkeley’s moto ‘Leading through innovation’. Firms versus Market: increased reliance of corporations on the market to approach innovation. This complements and reinforces the traditional corporate R&D efforts and is emerging as a powerful engine of innovation. Open Innovation is becoming a core strategy for firms. Intermediation versus disintermediation of finance: the trends indicate that firms and individuals start investing directly in innovative ventures by-passing financial intermediaries. Hedge funds have become one of the most important sources of capital. The Jumpstart Our Business Startups Act (JOBS Act) created an opportunity for crowd-funding platforms that fill a gap in the market but do not compete with VCs. Indeed, the reason why some projects get crowd-funded, while they would have never been VC-funded, is because the information required to evaluate the project is too decentralized to be collected. Private governance versus public: many public companies are reverting to become private allowing a tighter control over management contrasting with transparency of public companies. Dr. Philippe Tanguy, VP, International Scientific Development at Total, described the structure Total built to source and foster innovation. He emphasizes the fact that a company does not rely only on outsourced innovation and acquisitions. Internal ideas are still relevant and necessary as they are the more aligned with the company’s strategy and its DNA. As he put it ‘Buying an idea is not the same thing as using it’. Dr. Tanguy also presented the unique structure created in Europe under the aegis of the European Institute of Innovation and Technology to foster open innovation across research, business, education, technology and entrepreneurship, organized in three Knowledge & Innovation Communities (KIC): Climate, ICT and Energy. KIC InnoEnergy gathers 27 shareholders (including companies, universities and incubators) to develop projects in the field of sustainable energy. After these two presentations, attendees shared their thoughts on the emerging models for financing innovation and their impact on large companies’ R&D, entrepreneurs, the public sector, academia and the VC community. This workshop ended with a light lunch allowing each participant to connect and expand on topics of interest.